Equipped with an inflatable RIB boat for general running around, Dallinghoo also offers a classic gaff-rigged sailing dinghy for exploring the bay in true "Swallows and Amazon" style. And with four kayaks and two stand-up paddle boards, there is no shortage of toys. 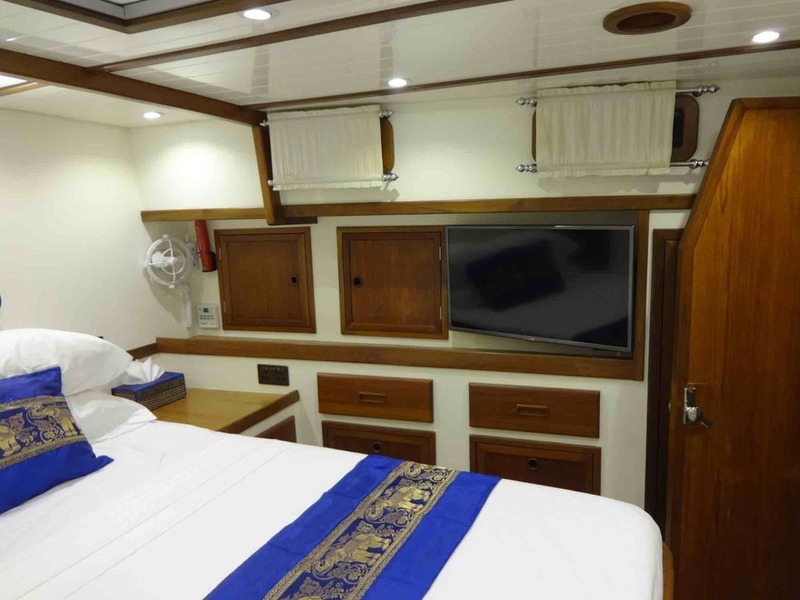 With a lovely master cabin at aft, two further double cabins and a twin berth cabin, there is accommodation for up to eight guests. All cabins come with their own en-suite facilities. 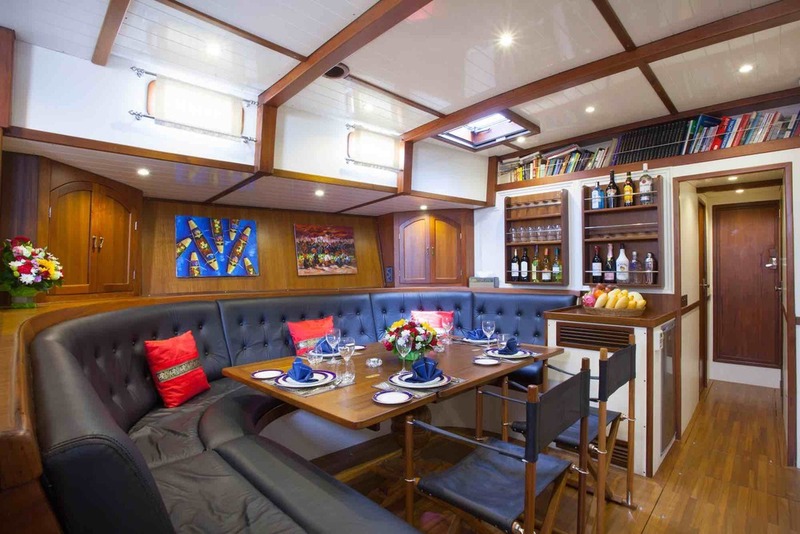 Dallinghoo also offers a spacious aft-deck with table and seating for eight to wine and dine as well as ample forward deck space for guests to enjoy the sail and the sun. Please discover 360° virtual tour to Daliinghoo by clicking here. Captain Bruce has been working on yachts for more than 20 years in various roles from captain to ship-wright, sailing instructor, and engineer. 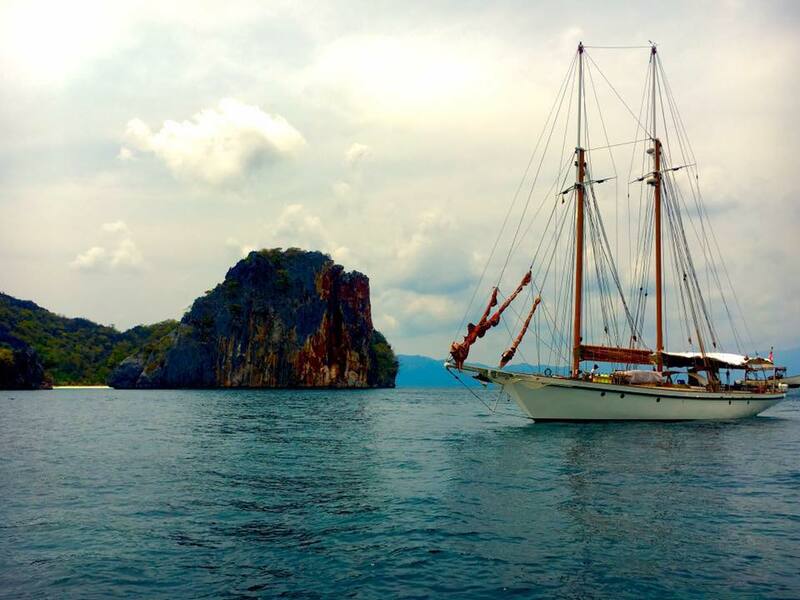 Originally from Australia, he has previously worked as a captain for Greenpeace and has skippered the 110-year-old schooner "Seraph" around the Andaman Sea. Aung Tin Oo is Dallinghoo’s man on the line. 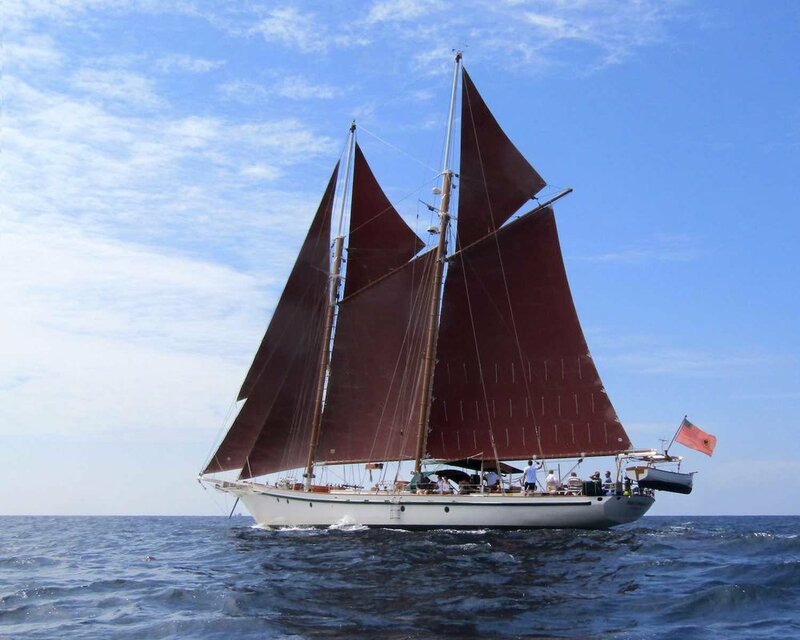 After spending 5 years aboard other classic schooners in Europe and Asia as bosun and chief mate, he signed on to rebuild Dallinghoo from the ground up. Dominic has been with Dallinghoo since her rebuild and knows every nook and cranny aboard the yacht. Dom will also serve your evening cocktails.